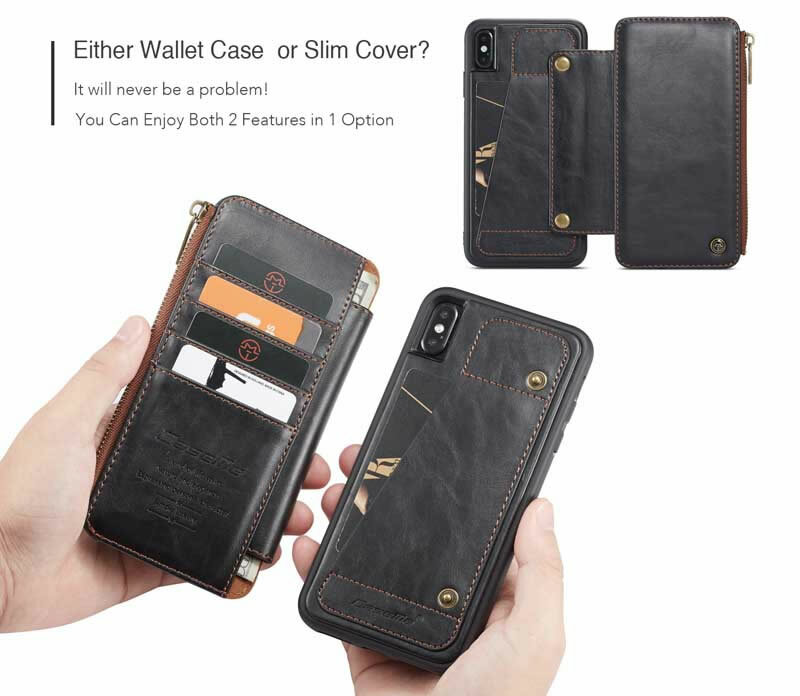 Free Shipping, Buy Genuine CaseMe iPhone XS Max Detachable 2 in 1 Zipper Leather Wallet Case at the lowest price from Casemecase.com. 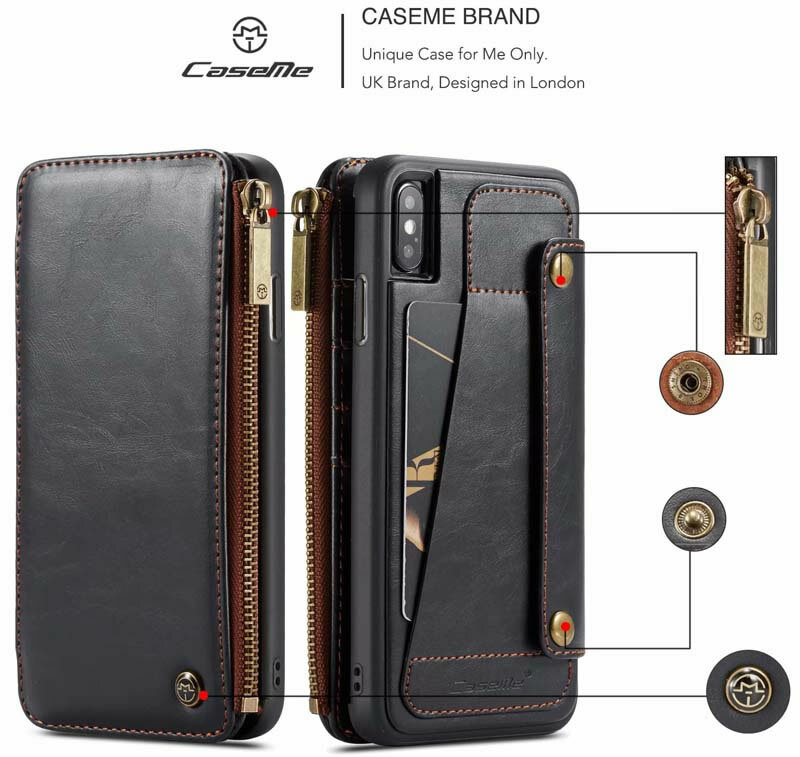 CaseMe Brand: Unique Case for me only. UK Brand, Designed in London. 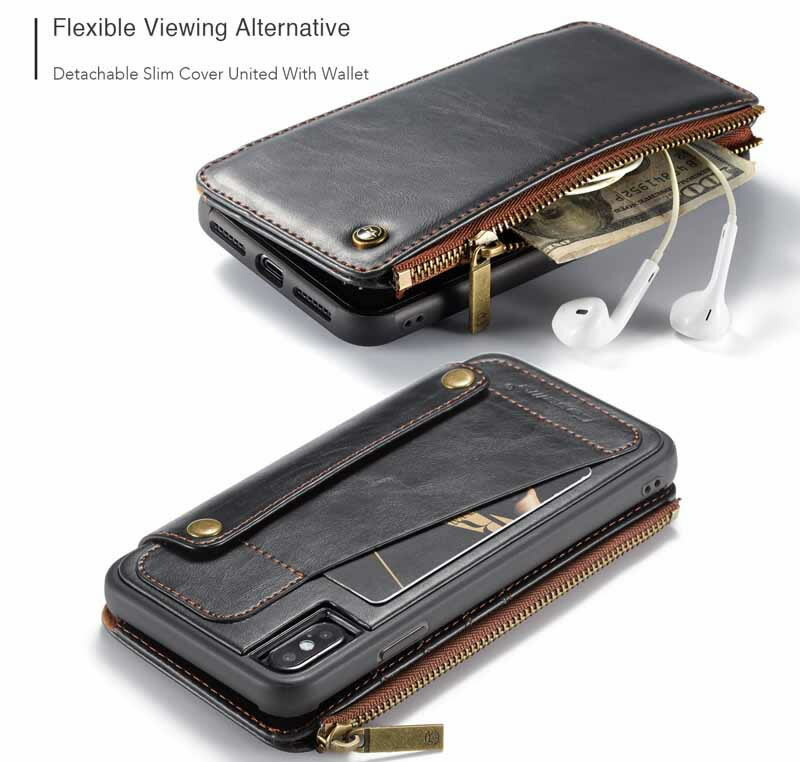 This wallet folio can store up to 5 credit cards,1 zipper pocket ,smart design allows you to easily flip the inner holder to access all your cards conveniently. 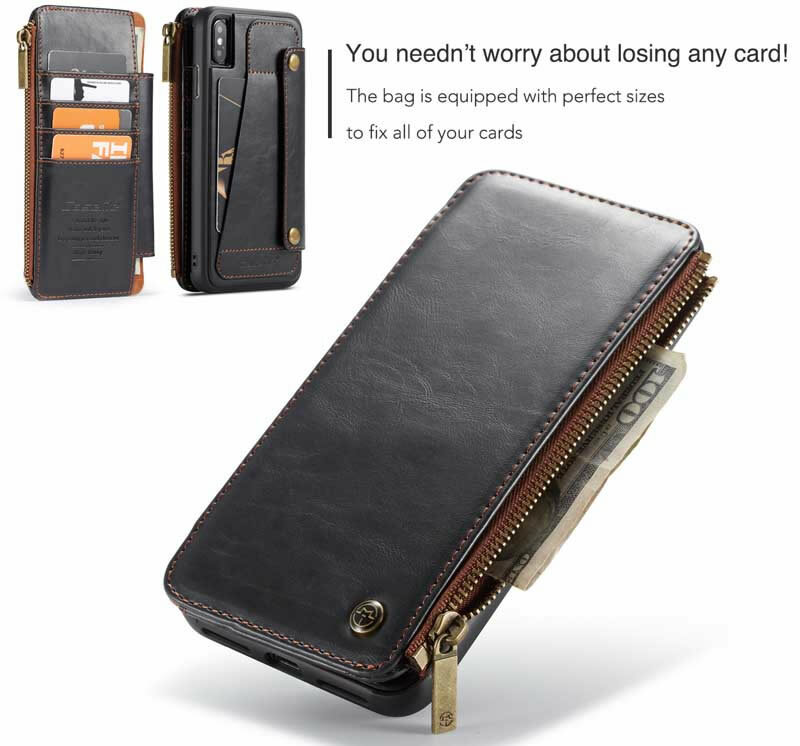 Button closure with wallet separation,more convenient to answer the phone. 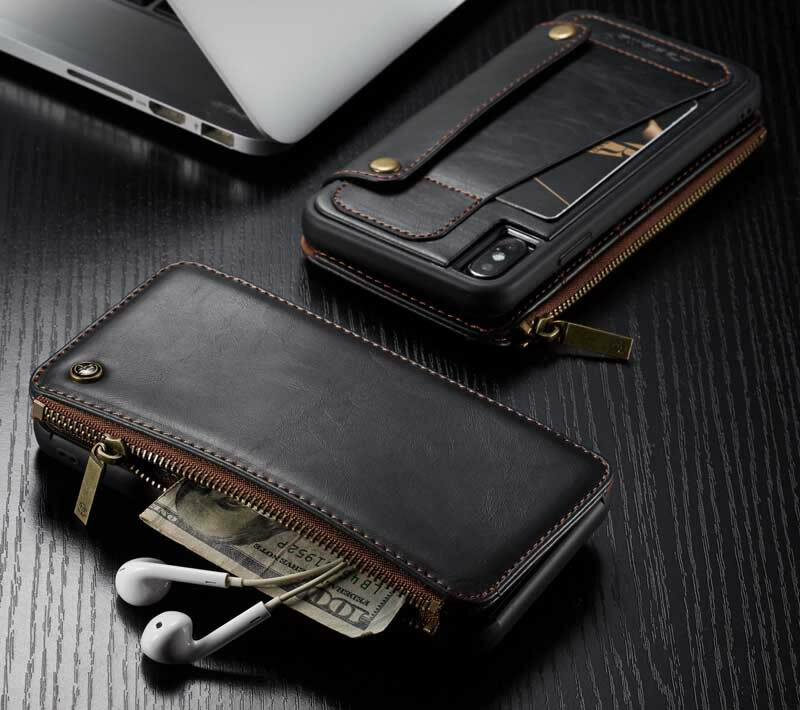 included card slots and money pocket, carry around your id, credit and debit cards, and cash. Slim profile, business fashion noble appearance. 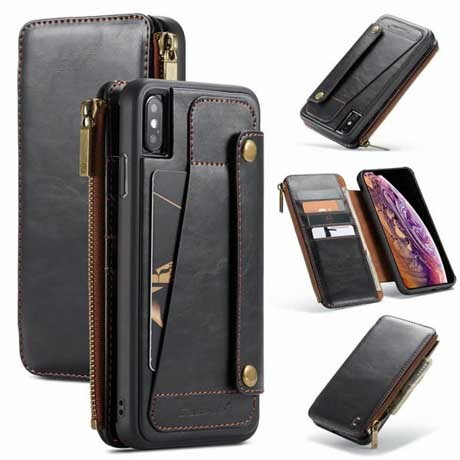 Each case is precision made to ensure that your phone is snug and secure in the casing.